Hummingbird Gifts - For the Love of Hummingbirds! Have a special someone in your life who loves hummingbirds? 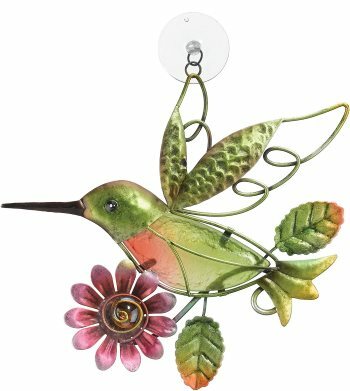 Below are popular hummingbird gifts for friends, family...Or just go ahead and treat yourself! After all, hummingbirds are affectionately referred to by hummingbird lovers as the "flying jewels" of the sky. Hummingbird earrings, necklaces, pendants are all sure to please. The sterling silver and gold hummingbird pendants and earrings are certainly beautiful, but I really like the colored crystal, stained glass, and inlaid paua shell designs that really showcase hummingbirds' brilliant colors. We use our hummingbird ornaments to decorate the Christmas tree, but you could certainly use them for any holiday. I actually use them year-round because they're too beautiful to hide away and display only once a year. Anyone who loves hummingbirds could always use another hummingbird feeder. If you know someone who likes to feed hummingibirds, tell them about how they can make their own nectar at home at a fraction of the cost with just water, white granulated sugar (the best sweetener to replicate what's in natural nectar) and no red dyes. Homemade nectar is actually better for the hummingibirds. Follow this link to for our simple hummingbird food recipe. Below is a book any hummingbird enthusiast would love to add to their library. 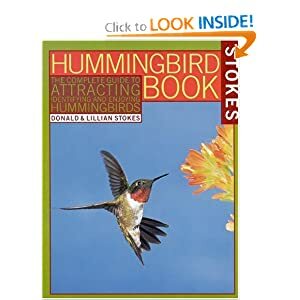 We highly recommend The Complete Guide to Attracting, Identifying, and Enjoying Hummingbirds by Donald and Lilian Stokes. An excellent comprehensive book about attracting hummingbirds with great photos. Hummingbirds are hoverers. They keep their body at a ~45 degree angle to the ground, moving their wings in a figure-eight pattern. Because of their flexible shoulder joint, they can generate lift on both the backward and forward strokes. Hovering allows them to extract nectar from flowers with ease. However, hovering burns a lot of calories. 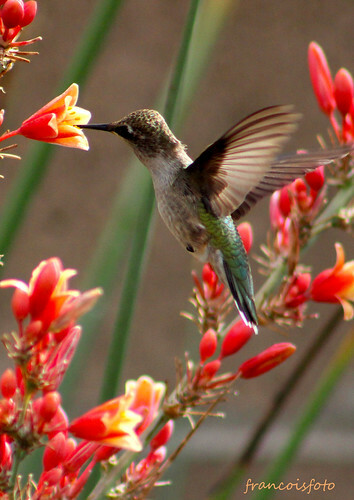 If our metabolic rates were as high as a hummingbirds, we would burn the equivalent of 155,000 calories per day! Donuts, more donuts! Hope you've enjoyed our selection of hummingbird gifts. We have a lot of other fun facts and information about hummingbird biology, migration, flowers and more. Check them out by following the links below.